The F-84F Thunderstreak was one of the "Thunder" series of jet aircraft from Republic, starting with the P-47 Thunderbolt in World War II and ending with the F-105 Thunderchief supersonic fighter bomber. The F-84F Thunderstreak differed from its progenitor the F-84D Thunderjet by having swept wings. 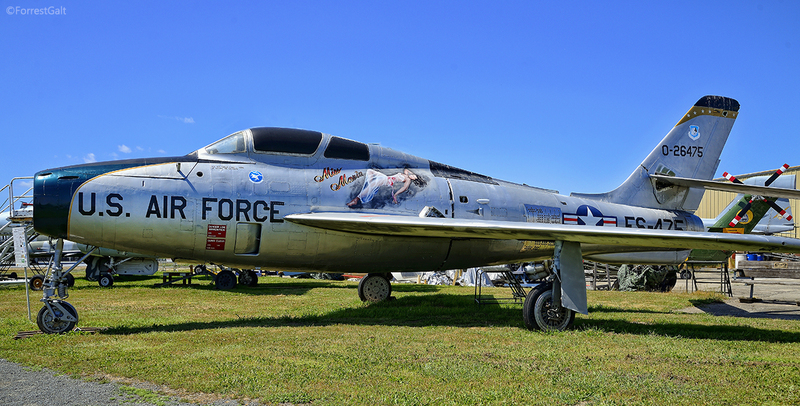 The F-84F was a fighter-bomber, designed primarily to attack ground targets. They were used extensively in the Korean War. 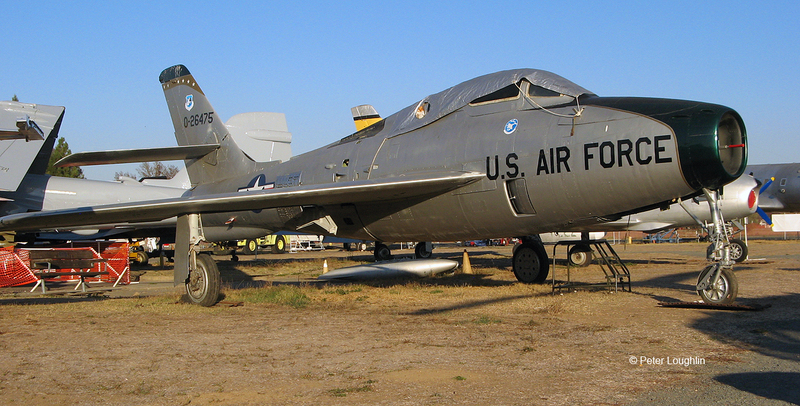 Early versions of the F-84 had straight wings, but the E, F, and G versions had swept wings in an effort to match the performance of its rival the F-86 Sabre. 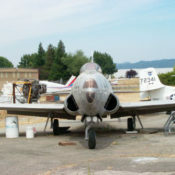 The Thunderstreak was powered by a Wright J65-W-3 turbojet of 7,220 lbs thrust. Maximum speed was 685 mph at sea level and 608 mph at 35,000 feet. 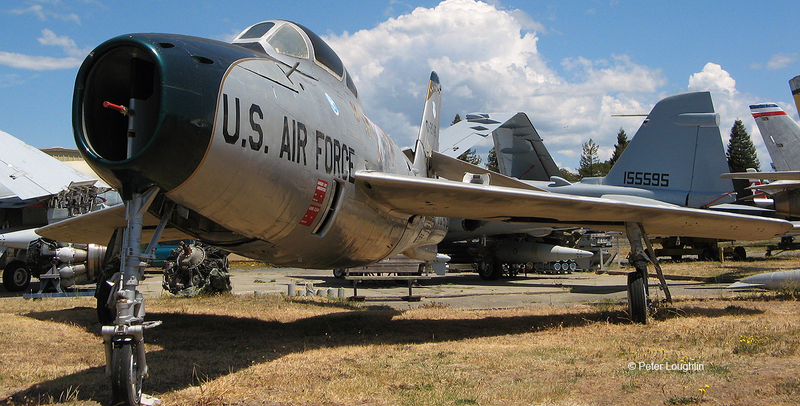 The Museum's F-84F was deployed to Chambley Air Base in France in response to the "Berlin Crisis" as the Soviet Union isolated East Germany and began to build the Berlin Wall. 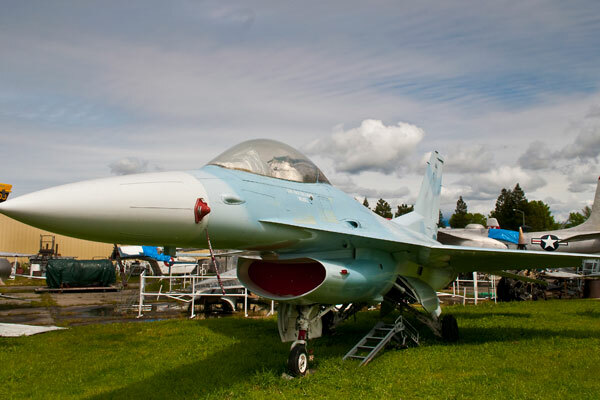 Our F-84F was dropped from the Air Force inventory in 1970 and wound up with the Navy as a practice target. 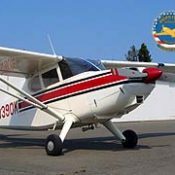 PCAM rescued it in 1997, restored it, and it is now on display on our field. 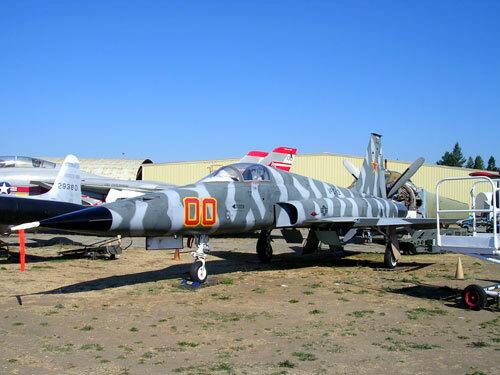 Republic Aviation jumped into the jet age with the development of the P-84 "Thunder" Jet series (which kept with the "Thunder" naming theme that brought fame to Republic beginning with the Thunderbolt of WWII). The original series of aircraft had straight wings (XP-84, YP-84, XP-84A, P-84B, P84C which was later changed to F84C, D, E, and G). 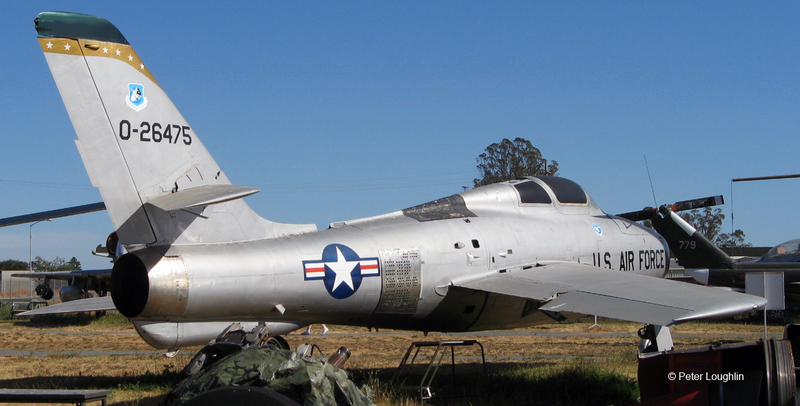 The first swept wing version was a modified F-84E fuselage which was designated the YF-84F. 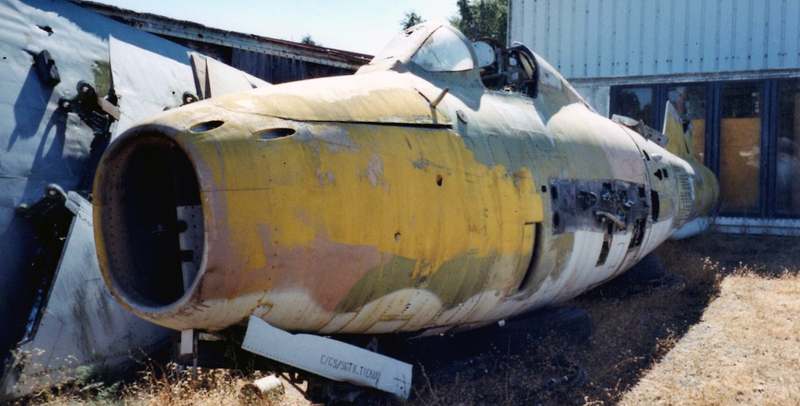 The production version was designated the F-84F Thunderstreak. The F-84 series of aircraft made large contributions to military aviation during the 1950’s participating in numerous testing programs. One such program is the FICON program as shown below. The goal was to have the short range fighters carried by long range bombers for protection. 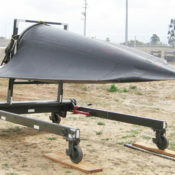 The fighters could be released for combat and later "retrieved". 1961: 163rd fighter squadron assigned to US Air Forces Europe, Chambley Air Base France in response to the "Berlin Crisis" as the Soviet Union isolated East Germany and began to build the Berlin Wall. 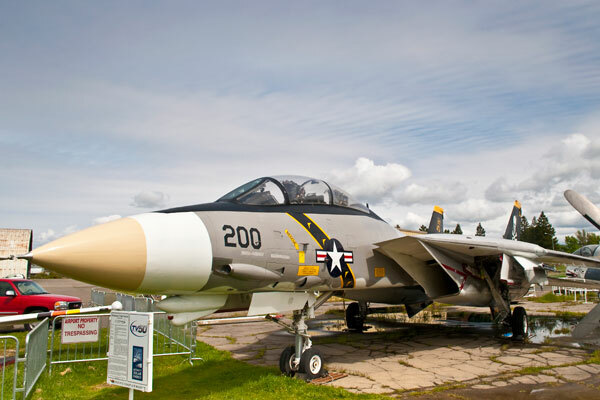 1970: Dropped from the inventory and transferred to the US Navy at China Lake NAS for weapons testing. Fixed: Six 50 Calibre M-3 guns with 1,800 rounds of ammunition. Disposable: Bombs/Rockets on external hardpoints. Mk. 6 Nuclear stores.